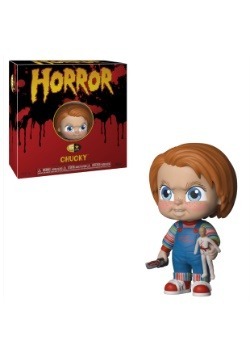 Chucky's here and wants to make you his best friend forever! (Yikes!) 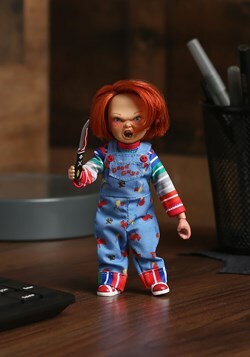 The Good Guy Sneering Chucky Doll is a must-have for fans of horror collectibles. 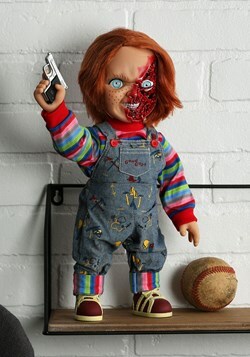 Its head, arms, and legs move and once 3 LR44 button-type batteries are inserted into the back, your officially licensed Good Guy doll speaks 6 different phrases.